AppleCare+ for iPhone is an insurance product that provides up to two years of expert technical support1 and hardware coverage,2 including up to two incidents of accidental damage, each subject to an excess fee of £25 for screen damage, or £79 for any other damage.3 In addition, you’ll get 24/7 priority access to Apple experts by chat or phone. Coverage begins on your AppleCare+ purchase date. AppleCare+ benefits are separate from a consumer’s right to a free-of-charge repair or replacement, by the seller, of goods that do not conform with the contract of sale. Under English law, consumers have up to six years from the date of delivery to exercise their rights; however, various factors may impact your eligibility to receive these remedies. For more details, click here. Coverage is available only for iPhone and its original included accessories for protection against (i) batteries that retain less than 80% of their original capacity, and (ii) up to two incidents of accidental damage, each incident being subject to an excess fee of £25 for a screen replacement, or £79 for any other damage. Express Replacement Service is not available under the screen replacement excess fee. 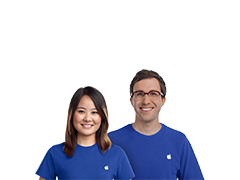 Replacement equipment that Apple provides as part of the repair or replacement service may be new or equivalent to new in both performance and reliability. See terms at www.apple.com/legal/sales-support/applecare/appforiphone.html for full details. This Insurance is underwritten by American International Group UK Limited and is registered in England under number 10737370. Registered office: The AIG Building, 58 Fenchurch Street, London, EC3M 4AB United Kingdom. American International Group UK Limited is a member of the Association of British Insurers. American International Group UK Limited is authorised by the Prudential Regulation Authority and regulated by the Financial Conduct Authority and Prudential Regulation Authority (FRN: 781109). This information can be checked by visiting the FS Register at www.fca.org.uk/register.